Albumen print. Circa 1863. Annotated Charlotte Edith Denman, Arthur Denman, and Grace Denman's legs. 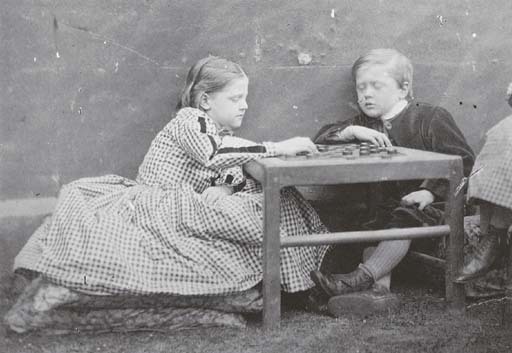 This photograph was taken about 1863 by Rev Lewis Carroll Dodgson, author of "Alice's Adventures" in ink on the verso.